All students in Tyndall College were involved in a wide variety of activities as part of Sports Week 2017. For Motivational Monday Turlough O’Brien, the Carlow Senior Football manager, generously gave his time to speak to 5th and 6th Year students about the importance sport plays in our lives and the importance determination has in getting places in life. 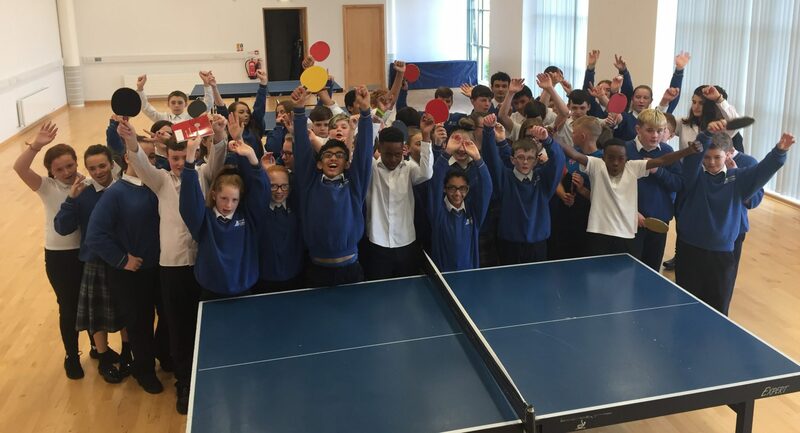 Try it Tuesday: A number of additional activities were run during lunch and after school including a handball tournament, a basketball clinic, football training, Dance and Wii sports competition. 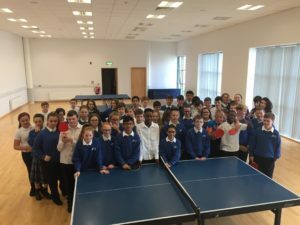 Walk on Wednesday: Due to the wet weather walk on Wednesday was cancelled however 2nd and 3rd years participated in an interclass Spikeball tournament and a fruit and juice party. Many thanks to Ms. McAssey and Jade O’Toole in TY for organising this and Ms. Gordon for all of her help. 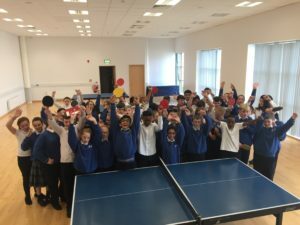 Table Tennis Tournament Thursday: First and Second years took part in a table tennis tournament on Thursday in Carlow Institute of Technology. Many thanks to Ms. Halpin, Ms. Creegan, Mr. Laffan, Ms. Phelan, Ms. McAssey, Ms. Tyrell and Ms. Gordon for making this possible. 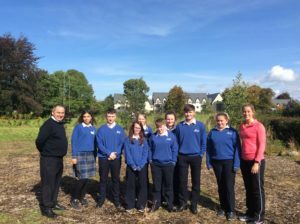 National Fitness Day: Friday was National Fitness Day and the TYs along with Ms. McAssey organised a 1k Fun Run for 1st, 2nd and 3rd years around the school grounds which was a great success. A special shoutout to Jade O’Toole, Kerrie Moore and Emer Brown who worked tirelessly to make it work- well done girls!